Join us for our 2019 sew along! Here at STITCH’N QUILT, we carry a large selection of the finest all-cotton quilt fabrics from manufacturers such as Moda, Henry Glass, Blank, Red Rooster and many more. Come in and check out our large selection of Batiks! We are a full service quilt shop. We have longarm quilting services for our customers. We also have a wide variety of classes available and clubs. We offer competitive prices on all of our products so you can buy the quilting supplies you need…to create the projects you want. Our shop is warm and welcoming, with a friendly, knowledge-able staff that is always on hand to offer prompt, courteous service. 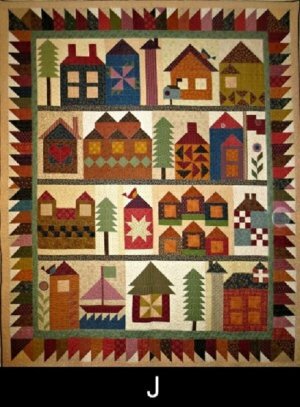 From our notions, to our wide variety of quilt kits, we have just about everything a quilter could possibly need. You might say…we’re a quilter’s best friend! 10:30 am - 3:30 pm - no charge! Bring any scrappy project that you are working on. to help use up your scraps! 11:00 am - 4:00 pm - no charge! Bring your projects to work on! Third Saturday of the Month!